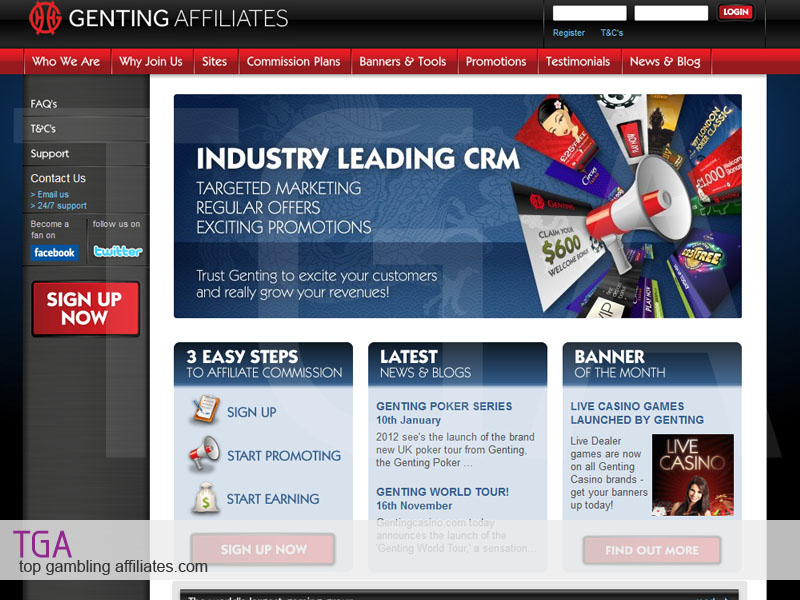 The Genting affiliate program offers unrivalled opportunities to earn some serious cash commission by promoting casino and poker under the world-renowned Genting brand. Affiliates can earn up to 45% commission in a tiered revenue share deal using some clever marketing techniques and exciting banner creative. The Genting brand is massive in the UK and across the globe due to a heavy advertising programs in place, giving great exposure across TV and online advertising. This means that you can be sure people will be interested in this trusted, reputable and established brand that brings peace of mind in the gambling industry. They currently run a number of nationwide offline casinos and have a huge reputation when it comes to casino games and poker. 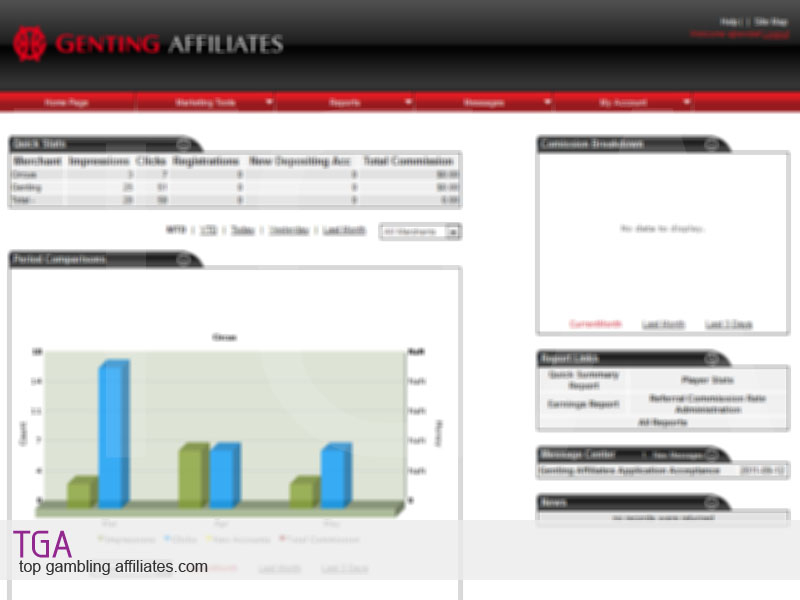 The control panel affiliates use is one of the leading CRM systems in the business and the team of skilled affiliate managers provide useful help and support to ensure you maximise your marketing efforts. The Genting program is known for high-conversion rates, long player retention rates, prompt payments and no-negative carry-over across both casino and poker. This entry was posted on Tuesday, May 14th, 2013 at 2:51 pm	and is filed under Affiliate Programs, Casino, Poker. You can follow any responses to this entry through the RSS 2.0 feed. Both comments and pings are currently closed.